Though few consider England an exotic, must-see local, every tennis enthusiast would agree that Wimbledon is the most prestigious and time-honored tournament in the world. If fact, this tennis mecca should be visited at least once in a true tennis player’s lifetime to completely appreciate the history and pride of the sport. Having picked up a racquet at three years old, Mayleen’s dreams of stepping foot in the All-England Club have been a long time coming. 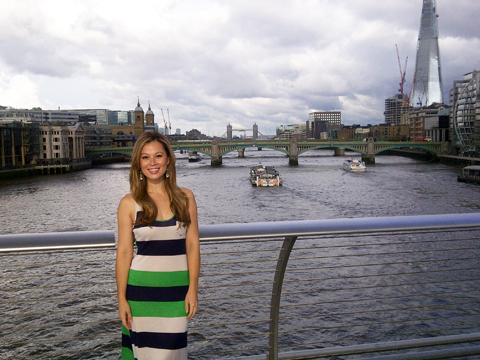 This month, she’ll be across the pond filming and producing a new episode of DT, featuring London, its surrounding areas and, of course, The Championships!